We’re always looking for fun Family Dates to enjoy together so I came up with this list here to share our fun with your familia. We love our family date times and our kids look forward to them as much as they do to our one-on-one dates. Though they don’t always turn out as plan, I always try to figure out how to turn it into a “teaching moment” sometimes even for myself because I can get frustrated when things don’t work out as I planned them. One of my favorite creative dinner dates from the list mentioned above is our Smorgasbord Dinner idea. This is what I call it because it’s a mix of everything in one meal. Our Smorgasbord Dinner Date Idea can totally be modified to do as a date with your hubby! You can also modify this game and use your own pantry instead of going to the grocery store. 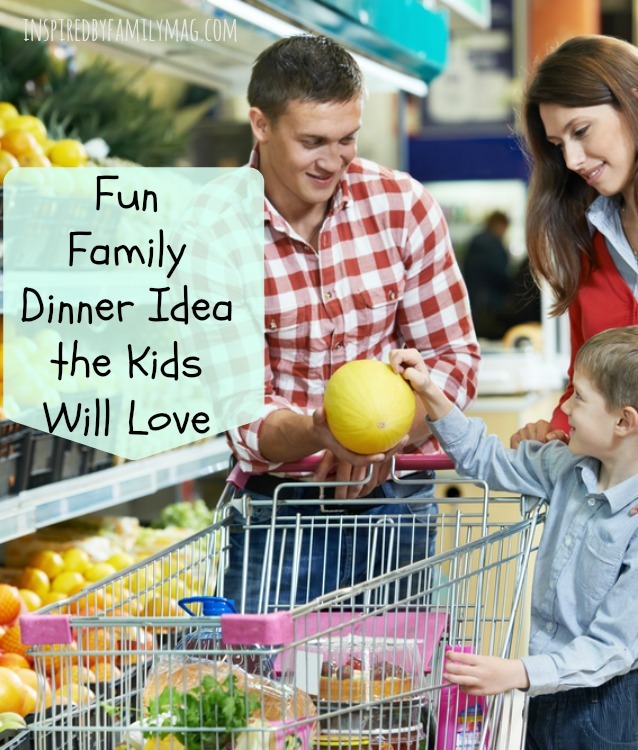 Though I think it would be a lot more fun for your kids to enjoy a grown up task like grocery shopping at the store. We gave each of our kids some money, $5 to be exact. We also handed them this fun little shopping list printable as shown below! You may need to give them guidelines so they don’t end up with just junk food in their basket. We explained to our boys that they are going to create a smorgasbord meal for dinner, it’s kind of like a potluck but they get to do the grocery shopping for it and we’ll make it together when we get home. Make sure they know that whatever they buy is what will be served for dinner. If you have more than one kid, encourage them to plan out their grocery shopping before you all leave. My two boys decided ahead of time that the menu for the evening would be, of course, pizza and ice cream for dessert. My husband accompanied one of them and I went with our other son. The oldest did the math in his notebook to make sure he didn’t go over $5. They took everything out of their grocery cart and paid the cashier themselves. They got a whole whopping 22 cents back that they were excited about. Once we got home we made our smorgasbord meal together as a family, from all the groceries that they bought and of course some things we already had at home. My son insisted on buying Ramen noodles and pizza, a very interesting combo but, nonetheless, that is what we had for dinner. This is what they came home with, yea, I’m just as confused about the lemon but they insisted on it. It was fun and educational for the kids. We worked as a team, they got to come up with the dinner menu and shop for it with their “own” money and we made it together. Love your ideas for family time. Bless you today!! Ashley, Awww that was so very sweet of you.